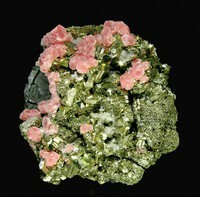 The specimen is very esthetic due to the contrast between the main components. 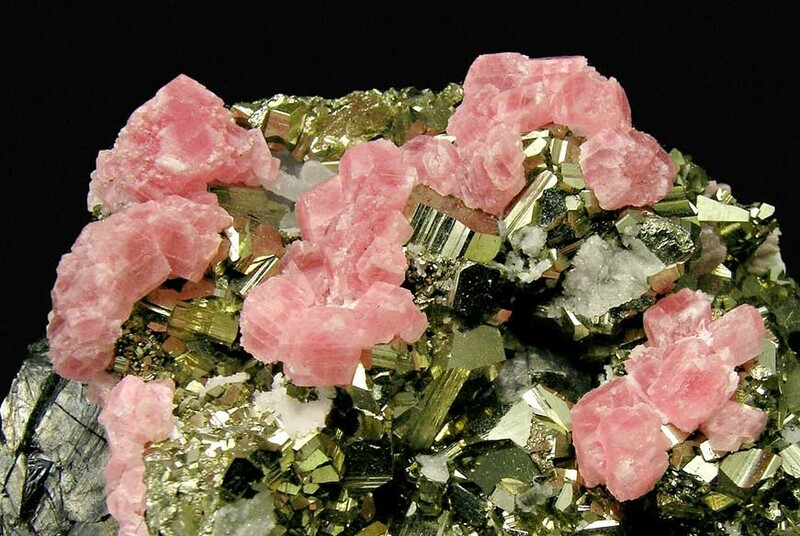 Rhodochrosite forms rhombohedral crystals that have zonal changes of color and are scattered over a matrix of Pyrite, Sphalerite and Quartz crystals. Mina Manuelita, Morococha, Junín, Peru.